Grace’s laid-back, layered style is filled with comfy-cool pieces and one-of-a-kind boutique finds. Whether she’s playing video games or performing spoken word poetry, her unique personality is mirrored in her swoon-worthy wardrobe. Whether molded into jeans, jackets, or chambray shirts, denim is a staple piece in every college girl’s wardrobe. Because denim is such a basic fabric, it’s easy to find or customize an item to fit your personal style. Grace’s jacket has a slightly oversized fit with distressed detailing that adds an edge. Even though she purchased hers at a boutique in her hometown, finding a staple piece of outerwear at the mall or at your local thrift store makes this an essential, easy-to-get clothing item. Booties – especially if they’re heeled – add an instant style boost to any outfit. 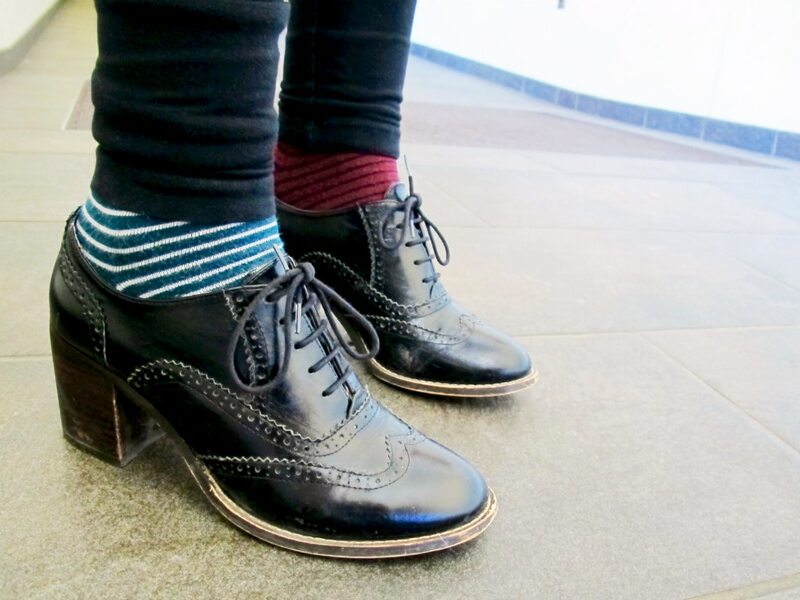 Grace’s oxford lace-ups add a touch of elegance; her mismatched socks, a hint of whimsy. As a bonus, she’s had her oxfords for so long that she can’t remember where she got them. It just goes to show that investing in a good pair of shoes can give you footwear that lasts a lifetime. 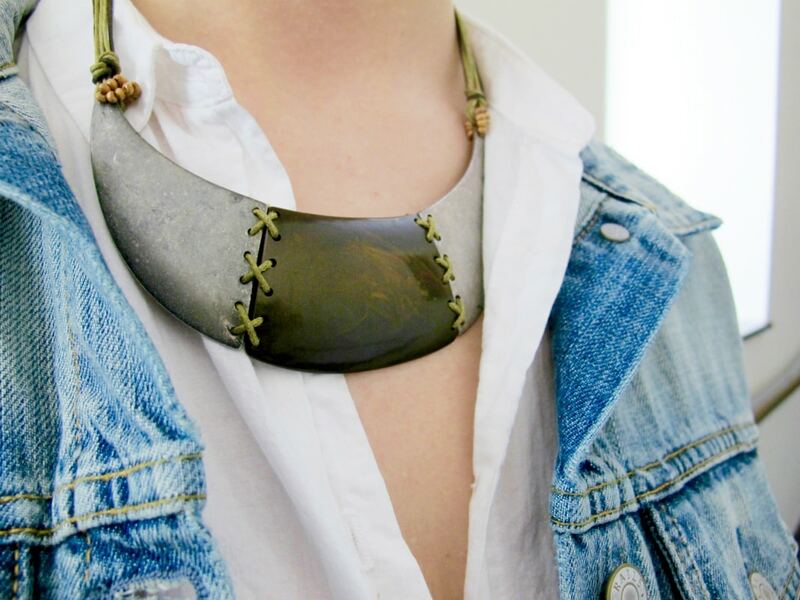 Handmade and from a local boutique in northern Michigan, Grace’s necklace adds unique color and texture to her staple pieces. Taking a cue from Grace, step outside the mall, tear your fingertips away from your go-to online store, and check out the downtown area of your closest metropolis! Whether you’re shopping boutiques or craft fairs, supporting local businesses and artists is a great way to get unique, one-of-a-kind pieces that no one else will have. Do you love Grace’s handmade necklace? Would you wear her booties? Comment below and let us know what you think about mismatched socks.